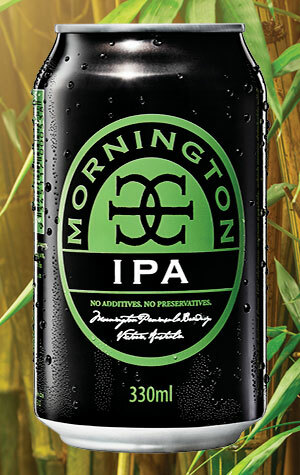 Mornington Peninsula Brewery's IPA has had quite the journey. It was one of the brewery's first ever seasonal releases, winning plenty of admirers from the off as one of the bigger, brasher local takes on the American IPA style. Over time it's been refined, losing nothing in the way of hop aroma or flavour but becoming a more balanced beast along the way. It also proved so popular that it wasn't long before it became part of the brewery's core range and was soon one of their top three sellers, with people seemingly unable to get enough of its pungent passionfruit and stonefruit aromas, big malt body and hearty bitterness. The beer in the can – the first local IPA to be canned – is the same, with the brewers believing it will hold its hop character longer than in bottle. If anything, expect it to become hoppier still!